How about moving your bible study group somewhere new? Over a few days off over Easter I had a thought. What if we did our team bible study in the pub? I lead a small team who do most of their university placement with me as they study for their FDA degree in Theology, Mission and Evangelism. It’s a unique course with an emphasis on practical ‘working out what you learn’ kind of teaching. Subsequently all the students on placement with me serve within our rural Cafe project as well as part of the city centre chaplaincy team in Peterborough. We also meet each week for a team day of prayer, some teaching and bible study. 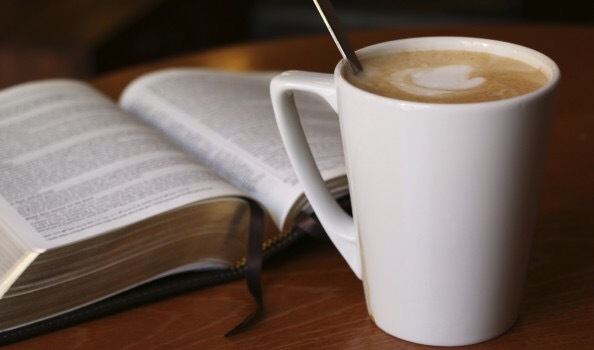 I shared my pub bible study idea with one of the team and they too had been thinking as to how they could make most of every opportunity to share their faith. Meeting as a team in the pub felt like a good idea to them. So today, instead of meeting in a church hall in the city centre of Peterborough, we met down the pub for our weekly bible study. When I say pub, it’s not just any pub. It’s the one that I spend a morning a week serving as city centre chaplain and I know most of the staff well and many of the regulars. Our bible study was, ummm, how can I put it, completely different than what we were used to! Studying the bible when people are around seems to ground what you look at. It certainly helped us in the practical application of the scripture we studied. We use the ‘Discovery Bible study’ way of looking at scripture together and one of the questions we ask each other is who are we going to share what God has taught us? When you’re surrounded by people in a busy pub it’s not hard to imagine who you could share some beautiful words of life with. It also helped our reflecting on scripture that become far more grounded and somehow ‘real.’ For example, todays reading was on Psalm 139 part of which we affirmed people’s ‘made in God’s image-ness.’ It’s quite humbling to affirm such a truth when God is all around us through those whom are made in his image. As an evangelist I’m excited about the prospect of studying scripture in public which will gives people an opportunity to join us within a ‘third space.’ Meeting in public means our usual private practice as followers of Christ becomes accessible and open. I hope others would join us as we seek to meet with and hear from God and that they too enjoy this encounter. Lastly, I found the new venue helped me connect with God. It felt far more edgier than usual… As if anything could happen at any moment! I felt led to pray that we would be joined by 3 others, new disciples, who would also enjoy learning and growing through reading the bible with us. If you would like to know more about our courses please follow this link and click here. Were you joined by 3 others this time round?